Do your kids love Halloween as much as ours do? 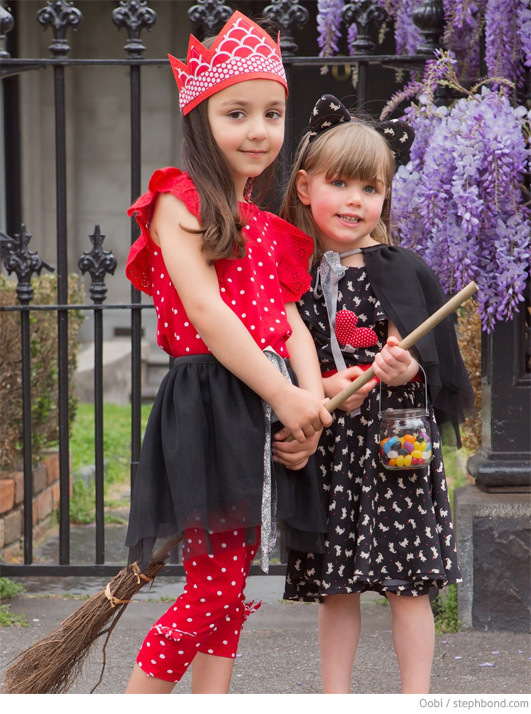 We're all for a chance for the little ones to use their imagination and dress up - there's so much excitement as they plan outfits with their friends and we walk around the streets chatting to neighbours. It's not really about the lollies for us, but more about having fun and making memories for the little ones. 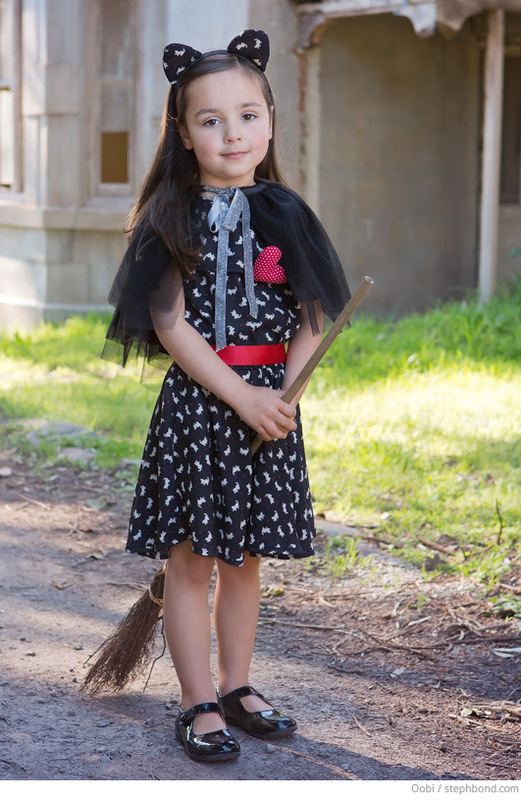 If you don't have time to DIY, now there is an alternative to standard costumes from one of Australia's favourite kids' fashion labels, Oobi. These cute outfits and accessories are available for girls in sizes from 3-11 years and have plenty of potential for wear throughout the year. Love them! You can find Oobi clothing in the online store as well as select stockists. (Read more about Oobi's new tween label B here on Bondville).